Lunch with my daughter is always a treat. 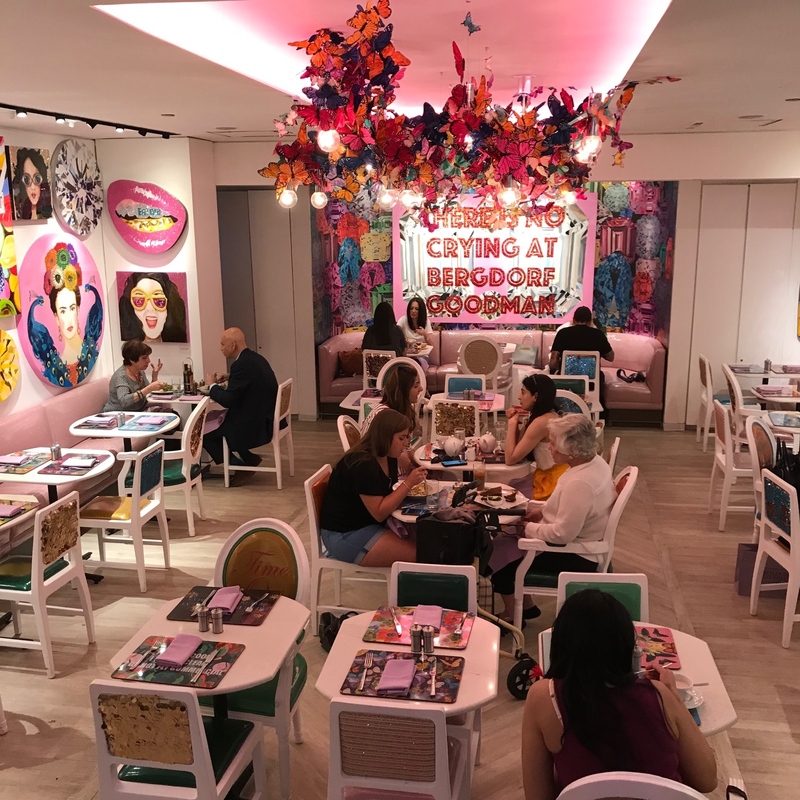 We met up at Bergdorf Goodman, one of the great retail therapy institutions in the world. My very own Joan of Arc rescued me, believing shopping would be therapeutic. Food is also a lovely distraction so we immediately headed to the less formal restaurant at BG. 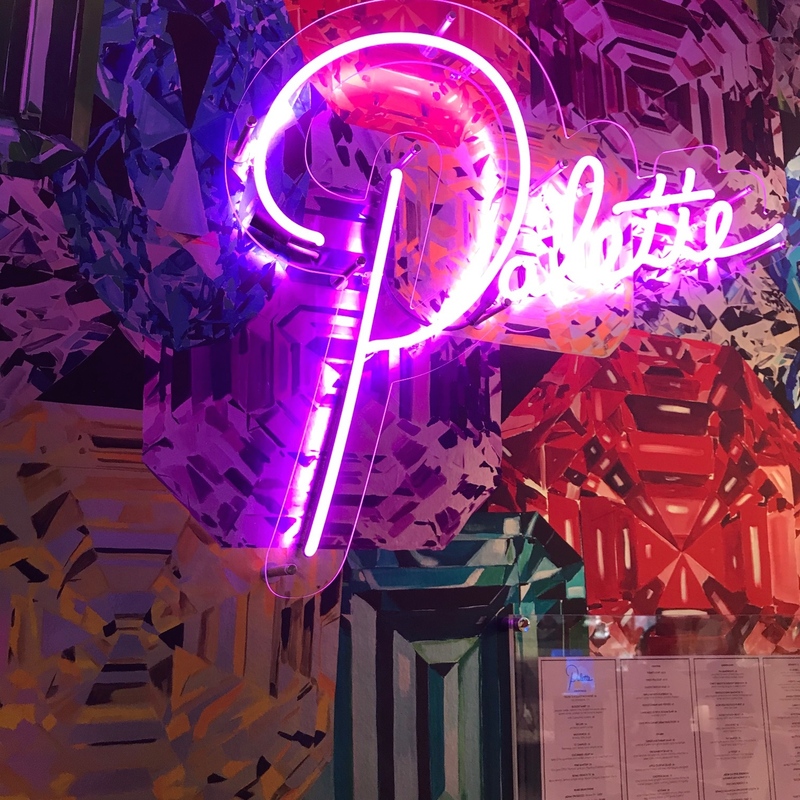 Palette, on the lower Beauty level, away from the maddening crowd, is part art gallery, part café. Entering the recently renovated Palette is a happy experience. The artwork by New Orleans-based artist, Ashley Longshore, is stunning and will not fail to brighten up your day. 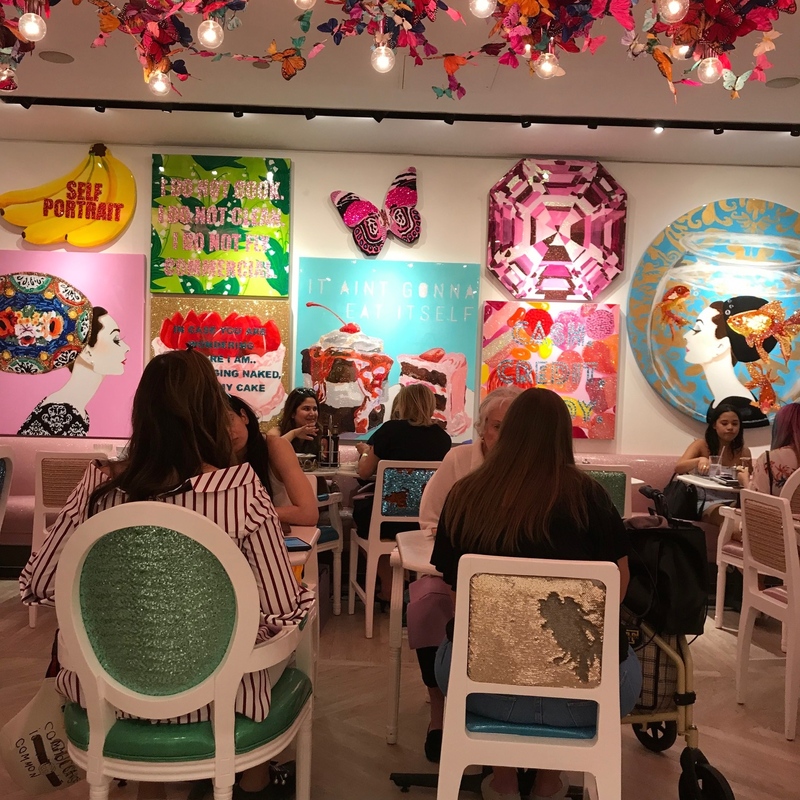 You dine among Flavor Paper jeweled wall paper, bedazzled giant champagne bottles, decadent chandelier installations, embellished vinyl chairs and inspiring quotes from the artist. Now known as the BG artist in residence, all of Longshore’s work is for sale. Longshore has achieved cult status through her huge, loyal social media following. 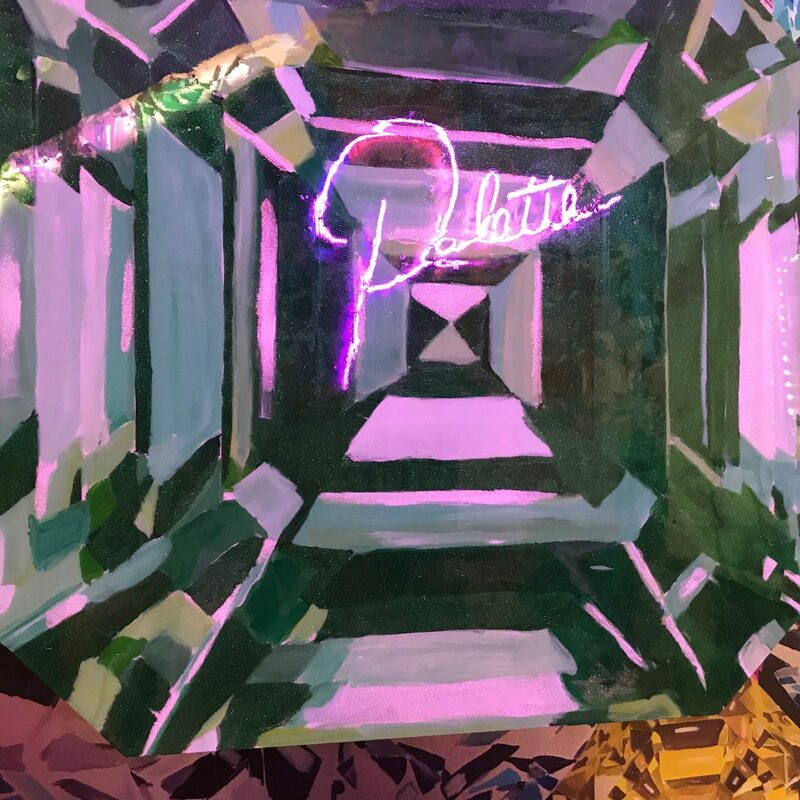 Her palette is adorned with paint, makeup, glitter and witticisms. Everywhere you look gaiety abounds in jewel tones. Let us not ignore the delightfully delicious cuisine. We decided to take a turn at Ladies Who Lunch and selected an appealing Hamptons Water Rose from Languedoc, one of my favorite wine regions ($15). 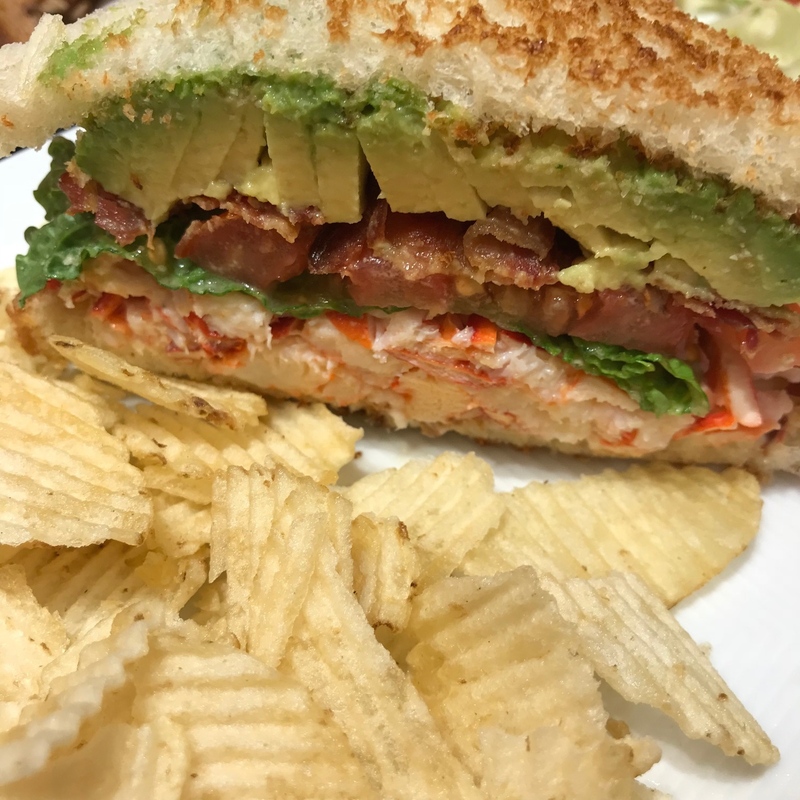 A split seemed in order so we shared a fabulous Lobster BLT with flavorful chunks of lobster, crispy bacon, perfectly ripened avocado, lettuce, tomato with shallot mayo on toast ($32). 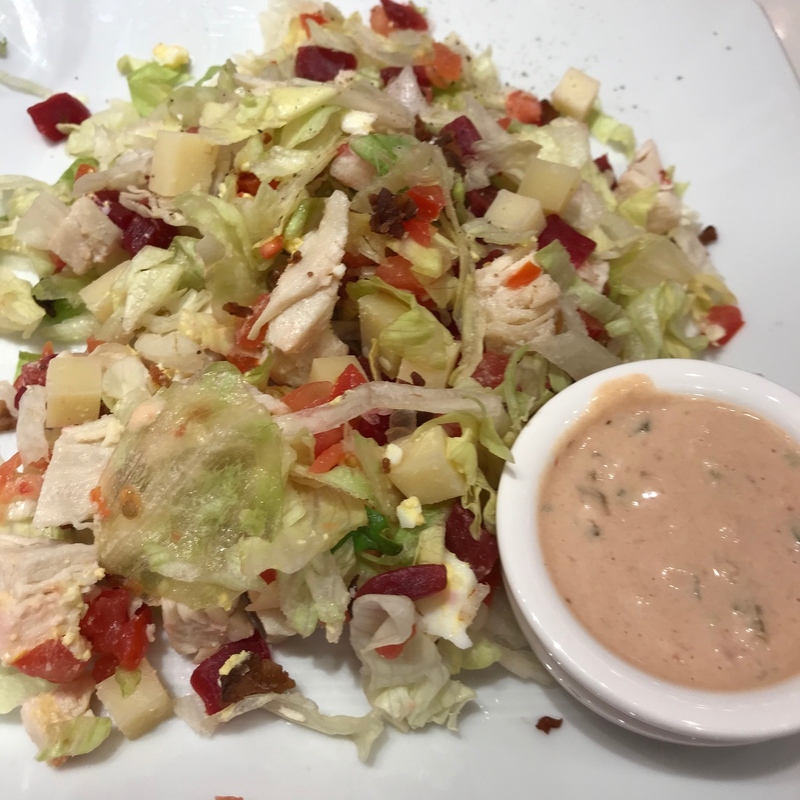 We also selected a delicious Gotham Chopped Salad with diced chicken breast, ham, gruyère, tomato, beets, bacon, egg and iceberg lettuce. We omitted the ham ($26). Soups, crab cakes, a plethora of salads and sandwiches are also featured on the menu. Palette is small and intimate…a wonderfully shiny accessory to a day of enjoyable shopping in the fairy tale world of Bergdorf Goodman. Palette 754 Fifth Avenue Beauty Level at Bergdorf Goodman New York City. Open Monday-Saturday 10am-7pm and Sunday 10am-6pm. Reservations on OpenTable.com.